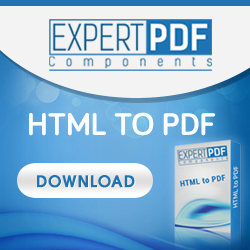 ExpertPdf Html To Pdf Converter is a .NET library that can be used in any .NET application to offer support for converting web pages to pdf documents. ExpertPdf does not have any external dependencies. It works on any .NET platform, starting with .NET 2.0 and on any Windows operating system (32bit or 64bit) starting with Windows XP.